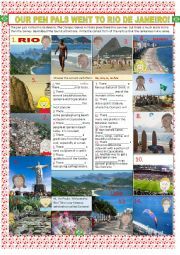 As the Olympics approach, the fictitious Pen Pals are in Rio de Janeiro, where they say sentences using "there is/there are", as they explore various tourist attractions. Key included. 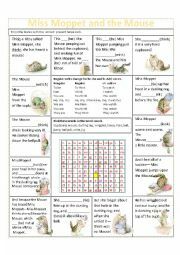 Students can practice the present simple tense with this classic children�s favorite by Beatrix Potter. 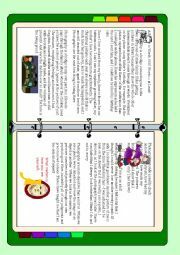 There is a word search to reinforce vocabulary from the story. 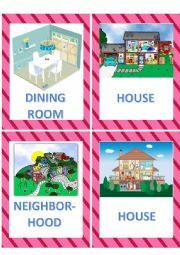 Flashcards for 2 houses, dining room, and a neighborhood. We have permission to use them, as cited on the website in the FAQs. 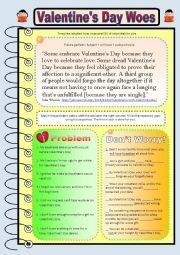 Students practice using future perfect in this Valentine themed worksheet matching problems to their solutions. Example: My boyfriend broke up with me! --> Don�t worry! By this time next year you WILL HAVE FORGOTTEN all about him.Many thanks to anaisabel001 for her beautiful template which I adapted. 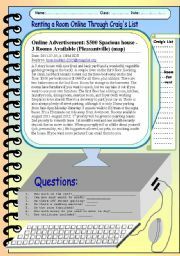 This worksheet shows the ad and e-mail exchange between landlord and prospective tenants. Thanks to Philip Roeland for the template. Practice using "Which One" or Which Ones"
Earth Day is coming up in April. 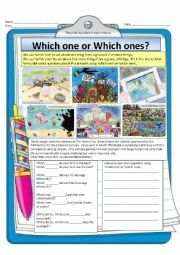 This worksheet includes images from Philadelphia�s The Green City, Clean Waters Art Contest for students. Students fill in the blanks with WHICH ONE or WHICH ONES. Then they make their own question(s) independently. A fun, playful paragraph briming with difficult th words, demonstrating the three sounds of th: voiceless, voiced, and sounding like a`�t�. 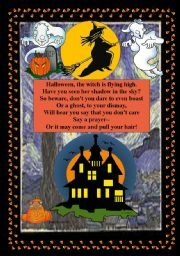 Traditional Halloween song. http://www.youtube.com/watch?v=4o1B0U6ptGI has the melody. 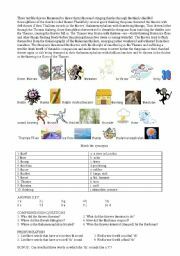 Students choose which question word fits to each question. 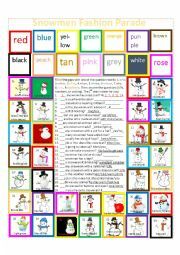 Then they look at the snowmen and descriptions to answer the questions. Answer key included.